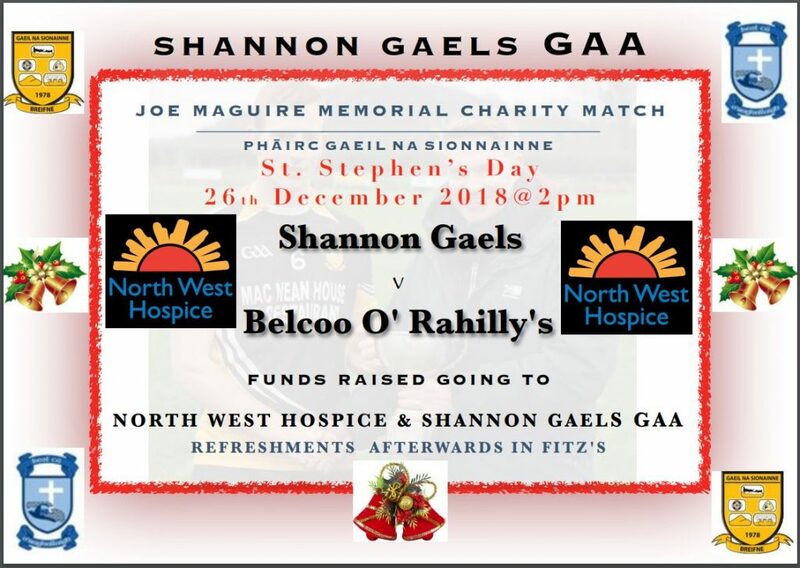 Once again with thanks to Belcoo O’Rahilly’s for their support. This year we are making a contribution to the North West Hospice who provide specialist care with compassion to those who are living with life-limiting illness in our community. They provide an integreated service through their in-Patient Unit, Community Palliative Care Team and their Hospital Palliative Care Team to the people in Sligo, Leitrim, South Donegal and West Cavan. 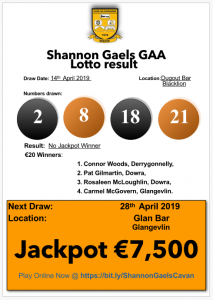 Club Lotto Result Update, Draw 9th December 2018.